Freelance journalist and broadcaster, writing about music and the arts. No matter what your tastes or inclinations are, there's a podcast for pretty much everything out there these days – from farming to football to food, as well as those that plumb the murkier depths of humanity (you can check out our true crime list here). Below, however, we've chosen 5 of the best Irish-made podcasts currently being served up to listeners around the world. 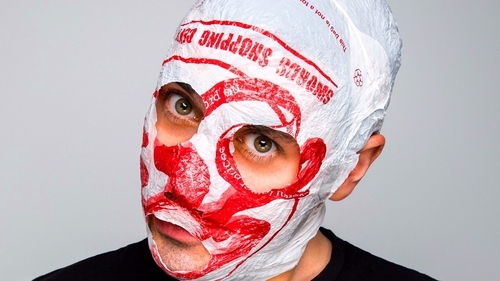 It hasn't even been on the go for a full year, but The Blindboy Podcast by Rubberbandits man Blindboy Boatclub has become one of the most popular and essential pods out there. The comedian and social commentator hasn't been shy about putting his views on Irish society into the public domain, so it stands to reason that his podcast often delves into weighty topics - as well as reveling in the surreal, with short fiction pieces, comedy and interviews in the mix. His recent episode, featuring director Spike Lee, is a brilliant listen. Comedian and writer Maeve Higgins has been killing it with her 'Maeve in America' podcast since October 2016, which examined stories of her fellow immigrants in the USA with empathy and humour. Her latest project, however, is the newly-born 'Mothers of Invention', where she teams up with former Irish President Mary Robinson across six episodes to meet the women who "change the way we do things" with regards to climate change. It sounds like an odd coupling on paper, but Higgins and Robinson are a wonderful team who tackle an interesting topic in a very clever way. Even if you're not a history buff per se, Fin Dwyer's Irish History Podcast is well worth a listen. With topics including major events in Irish history – from the Great Famine to the Norman Invasion and the Battle of Clontarf – covered, Dwyer also delves into some lesser-known stories, too. One of them, the 'Mulranny Police Conspiracy', was featured in a recent episode and detailed how the RIC turned on the inhabitants of this Co. Mayo village at the turn of the 20th century. Others examine the stories behind Ireland's last executioners and the shocking story of Bridget Cleary, murdered in 1895 by her husband who believed she was a 'changeling'. Often unusual, regularly intriguing and always fascinating listening. My latest #podcast - THE #MULRANNY POLICE CONSPIRACY is out now! It started as a Twitter account (@TheIrishFor), became a book and is now a podcast – and the Darach Ó Séaghdha-hosted Motherfoclóir is just as entertaining. With the recurring theme of Irish – the 'not-so-dead language', as the book aptly put it – it also encompasses topics including everything from feminism to psychology to mythology, all bound together by some connection to Gaeilge. Recent episodes include Tara Flynn talking about Peig Sayers and a pod on Papal Taxes in Medieval Ireland. Sure where else would you get it, as they say? Even if you're not Irish, this is great stuff.